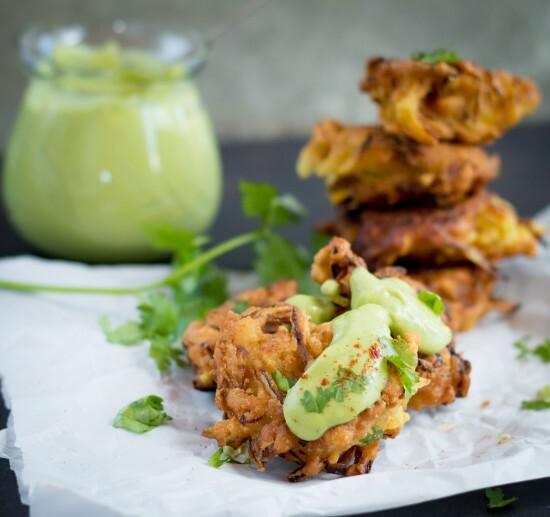 Pakora is a fried vegetable fritter and the possibilities are endless! The recipe I’m sharing today features onions. 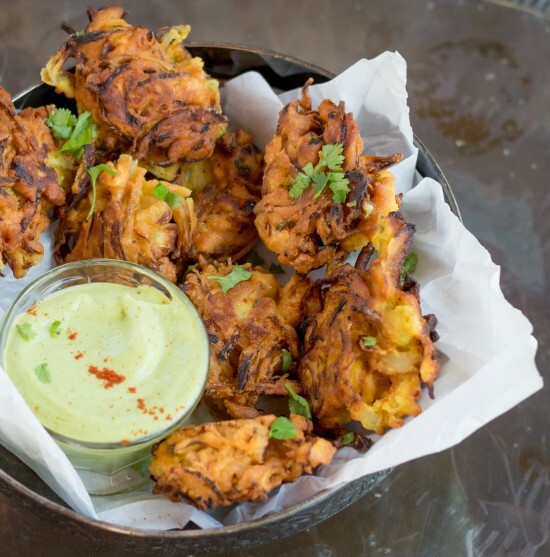 Everyone knows fried onions make the world go round. 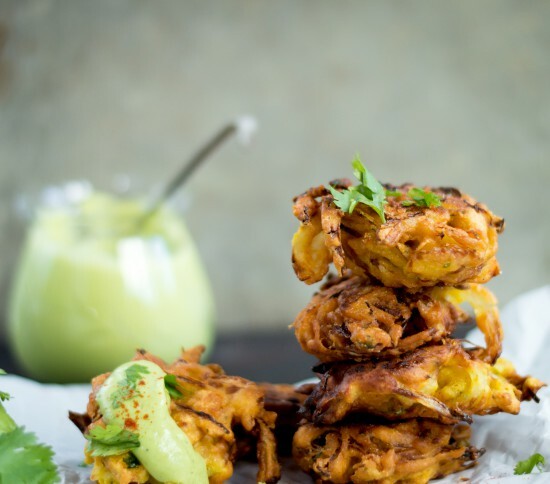 What you might not know is, they are even better jazzed up with some Indian spices AND dipped in a creamy garlicky avocado sauce. Add all ingredients into a blender and blend on high until smooth. If sauce is too thick add a little more water, a tablespoon at a time. Cover and place in fridge until serving. Place sliced onions in a medium bowl. Add chickpea flour, baking powder, and spices. Stir while slowly pouring water into the bowl. You’re looking for a thick pancake batter consistency. It should be holding the onions together relatively well. Add about three inches of vegetable oil into a cast iron skillet. Heat on medium. Place a small piece of an onion in the pan to test. If it instantly sizzles, the oil is hot enough for frying. Place rounded tablespoons of the mixture in the pan. Flip when golden brown. 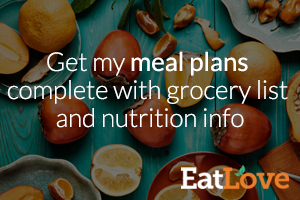 Allow to cook evenly on both sides and take out and place on a paper towel to soak up any extra oil.